The Kingdom of Bahrain is comprised of some 30 islands nestled between Saudi Arabia and Qatar in the Arabian Gulf. Travelers will find beautiful beaches, modern cities, traditional souks, and reminders of its long history as a crossroads of trade. Although a predominantly Muslim nation, Bahrain is more welcoming of Western visitors, with a more liberal social and legal environment than its neighbors. Manama is the capital and largest city of Bahrain. 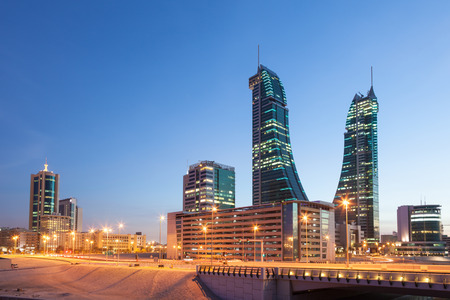 Long an important trading and financial center in the Persian Gulf, Manama is home to a diverse population. Bahrain, a nation of over 30 islands in the Persian Gulf, has been the center of major trade routes since antiquity. The bazaar offers wares from handwoven fabrics to pearls. Bahrain International Airport is the only international airport. Located in Muharraq, an island 7 km northeast of the capital, it serves as the hub for the national carrier Gulf Air. • Residents here are known as ‘Bahrainis’. • Foreigners make up over half the population of Bahrain. 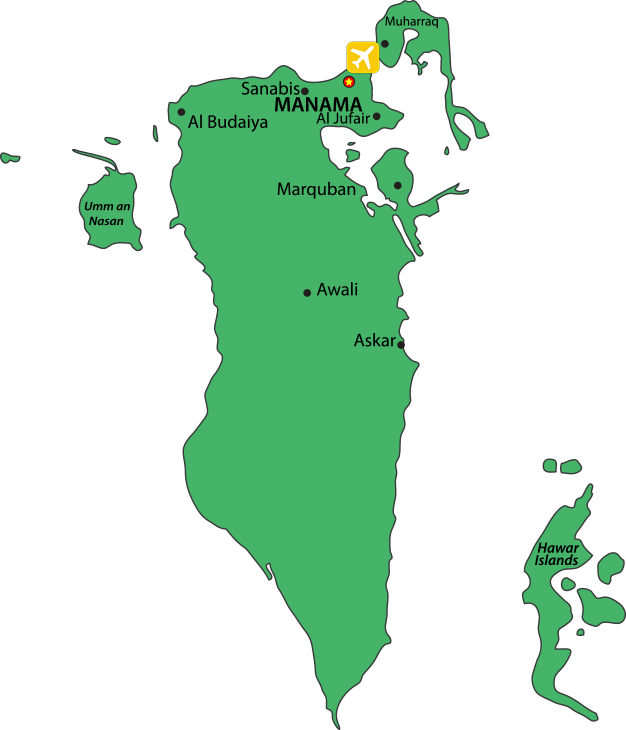 • The total land area of Bahrain is just 277 square miles. • Rumor has it there are no Bahraini restaurants in Bahrain. • Bahrain is a very important financial centre of the Arab world. • Bahrain exports petroleum and petroleum products, textiles and aluminum. • Consisting of 33 islands, Bahrain is an archipelago in the Persian Gulf. • The Kingdom has one of the largest mosques in the world; Al-Fateh Mosque. • In Arabic, Bahrayn is the dual form of bahr (sea), so al-Bahrayn means ‘the two seas’. • A 400 years old Mesquite tree called “Tree of Life” stands alone in the desert of Bahrain. Overlooking the Dohat Arad Lagoon and 1 km from Bahrain International Airport, this contemporary hotel is also 7 km from the Bahrain National Museum. This expansive, all-suite hotel in a modern tower with 2 wings is 1 km from City Centre Bahrain shopping mall. Occupying a striking metal-and-glass tower on a private island in the Arabian Gulf, this high-end hotel is 4 km from Bab Al Bahrain. Set off Shaikh Khalifa Bin Salman Highway, this modern hotel is 4 km from Karbabad Beach on the Arabian Gulf. This low-rise hotel is 2 km from the grand Arabian-style Al Fateh Mosque and 3 km from both Bahrain National Museum. This contemporary apartment hotel, set in 2 round buildings, lies 6 km from both Bahrain National Museum and Bahrain World Trade Centre. Bahrain, a nation of over 30 islands in the Persian Gulf, has been the center of major trade routes since antiquity. The bazaar offers wares from handwoven fabrics to pearls. The population of Bahrain is approximately 1.5 million people. Bahrain's currency is the Bahraini dinar. The main airport serving Bahrain is Bahrain International Airport. Bahrain International Airport is the only international airport. 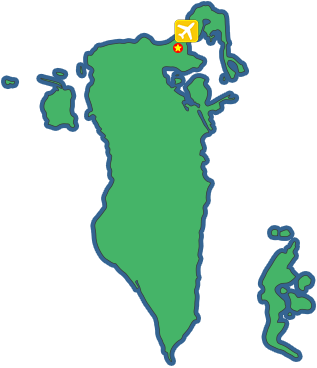 Located in Muharraq, an island 7 km northeast of the capital, it serves as the hub for the national carrier Gulf Air. Spring: April - May. Average temperature is ~25°C (77°F). Summer: June - August. Average temperature is ~45°C (113°F). Autumn: September - October. 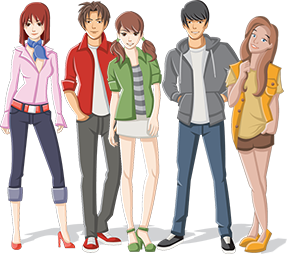 Average temperature is ~35°C (95°F). Winter: November - March. Average temperature is ~25°C (77°F). Visitors will want to be sure they don’t miss these top tourism attractions in Bahrain. Here are some interesting and fun facts you may not know about Bahrain. Residents here are known as ‘Bahrainis’. Foreigners make up over half the population of Bahrain. The total land area of Bahrain is just 277 square miles. Rumor has it there are no Bahraini restaurants in Bahrain. Bahrain is a very important financial centre of the Arab world. Bahrain exports petroleum and petroleum products, textiles and aluminum. Consisting of 33 islands, Bahrain is an archipelago in the Persian Gulf. The Kingdom has one of the largest mosques in the world; Al-Fateh Mosque. In Arabic, Bahrayn is the dual form of bahr (sea), so al-Bahrayn means ‘the two seas’. A 400 years old Mesquite tree called “Tree of Life” stands alone in the desert of Bahrain. Don't leave your electronics at home. Here are the best Bahraini travel apps you'll want to download to your iPhone or Android device before your visit. For a real Bahrain experience, you need to try these iconic foods and drinks. Some are traditional Bahraini dishes while others have been "borrowed" from immigrants and neighbors. Work off that amazing food, enjoy the great outdoors, or just try something new. These favorite Bahraini activities let you get out and enjoy the country the way the locals do. Every country has its own ideas of who should be tipped and how much. Nobody wants to overtip or, worse, be considered a rude guest. Here’s what to tip in Bahrain. From casual comfort to luxury accommodations, Bahrain has plenty of great hotel choices for you to relax and unwind. Mövenpick Hotel Bahrain – Overlooking the Dohat Arad Lagoon and 1 km from Bahrain International Airport, this contemporary hotel is also 7 km from the Bahrain National Museum. Elite Grande Hotel – This expansive, all-suite hotel in a modern tower with 2 wings is 1 km from City Centre Bahrain shopping mall. Four Seasons Hotel – Occupying a striking metal-and-glass tower on a private island in the Arabian Gulf, this high-end hotel is 4 km from Bab Al Bahrain. Ibis Seef Manama – Set off Shaikh Khalifa Bin Salman Highway, this modern hotel is 4 km from Karbabad Beach on the Arabian Gulf. Monroe Hotel Bahrain – This low-rise hotel is 2 km from the grand Arabian-style Al Fateh Mosque and 3 km from both Bahrain National Museum. Majestic Arjaan by Rotana – This contemporary apartment hotel, set in 2 round buildings, lies 6 km from both Bahrain National Museum and Bahrain World Trade Centre. Travelers to Bahrain will find a more relaxed, and more liberal, version of an Arab state. There are also fewer tourists here than in many other countries in the region, allowing visitors to enjoy beautiful beaches and great upscale shopping without the crowds. Bahrain is one of the places to be on earth, but I’m a bit confused. Since Bahrain is dominated by Muslims, are non-Muslim visitors given the same treatment as Muslim visitors? Fantastic! This is just a complete review for an amazing Bahraini visit. It revealed every bit of my experience while I was there and much more. This kingdom is a place to be for every adventurer and fun lover. My first concern about the kingdom before I eventually visited was that, being a Muslim dominated region, I was afraid there may not be so much hospitality and warm welcome for me. But I was wrong; Bahrain is a place for all.